I was recently invited by intu Lakeside to have a personal stylist session. I have been looking so forward to the service offered by intu Lakeside as I have been lacking inspiration to try anything new and go out of my ‘style’ comfort zone. With the start of a New Year it felt like the perfect time to invest some time into ‘me’ and take some advice from a style expert. Especially since having my children, my style and choice of clothing has become plain and easy to say the least. I choose whites, greys and blacks over colour and stick to jeans and clothes that are comfortable and allow for easy movement, chasing the children everywhere. For me it’s a no brainer when it comes to my clothes, comfort over style. However I know how important it is to make sure you feel good in what you wear for the day, it not only gives you confidence, it allows you to make a really great impression especially if you are going somewhere important. When I arrived at the customer lounge at intu Lakeside, which is located on level one near the lifts it is really easy to find, I waited in the customer lounge for Carlene the personal stylist who I had the consultation booked with. I am aware lakeside have a few personal stylists, but I was lucky enough to be consulted and experience the personal stylist session with Carlene, who was lovely and very attentive, we got on really well and she completely catered to what it was I was looking for. The personal stylist sessions are suited uniquely to each client depending on what it is a client may be looking for from the service. I will tell you about the packages available in a moment. We spent the first 30 minutes talking about my style and how I wanted my clothes to make me feel. I did actually learn a few things about myself. I like comfort, but also want to look classy and sophisticated. I don’t wear jewellery but learnt that actually this could really make a simple outfit stand out and make a statement. Being a mum I definitely feel that I benefited hugely from this session. Carlene offered some great advice to me that has made the world of difference. She really has a wealth of knowledge and I learnt so much, she has given me the confidence to try new things. Making the effort with ‘your style’ can have a huge impact on how you feel about yourself and not just how others see you. I am the first person to admit, the sleepless nights and the craziness that goes along with having two children can really interfere with your own personal style journey as that usually comes last on your list. But as your children grow you are able to devote a little more time to yourself. It is really important to feel good about yourself and I think one way to start is with a personal stylist session. After the consultation in the stylist room we headed into Zara and both spent time separately choosing outfits. I went for my typical comfort clothing, which were greys and dark colours! Some Carlene approved of and said suited me, but others of course didn’t suit me she explained why and how the items didn’t accentuate my figure in the right way. I was pleasantly surprised by what Carlene had picked for me, she chose a lovely floral top, a cosy cream jumper, along with a necklace and a white short sleeve role neck. I wouldn’t have picked these items up myself because I try to go for things that are ‘mum friendly’ as you do! When I tried on the pieces she had chosen for me I couldn’t believe how great they made me feel and how well they suited me. It was lovely to have someone who knows what they are doing when putting different items of clothing together, things I would never have thought of wearing and giving me the confidence to try something new. I am always open to learning new things and definitely feel my wardrobe could do with updating especially because I buy the same pieces over and over again. The session was a real eye opener. Carlene explained how using colours suited to you and your features such as hair and eye colour would accentuate how an outfit looked on you. This really was great to know because I am known to be quite scared of colour especially as I am not always sure how to wear it. Carlene also took me to Levi’s, a shop that my husband used to visit a lot when I first met him 8 years ago. I tried on a pair of mile high jeans and I fell in love straight away. I have honestly never found a pair of jeans that fit me so perfectly. On pay day I will be making a trip back to purchase a pair and that is a promise. Thank you to Carlene for introducing me to possibly the best jeans in the world! One thing you do not have to worry about in Levi’s is trying to find the perfect pair of jeans alone. There are expert Tailoring specialists on the shop floor to help find you the perfect fitting jeans. I tried a size 10 initially which Carmel who works in Levi’s noticed straight away were a little big on me, so we went for an inch smaller and they fitted perfectly. I have to be honest I was not aware intu Lakeside offered a personal stylist session at all. And to find out that it is FREE is a complete bonus as some shopping centres do charge for this service. I was lucky enough that I had Carlene as my stylist, as she is full of knowledge and advice you really do get the most incredibly professional service. She has such a passion for what she does and it showed through in every aspect of her approach. I would actually love to book my mum a consultation with Carlene as I feel she would completely benefit from it. So mum if you are reading this, we should get a date in the diary! The service itself is made up of a 30 minutes consultation and 90 minutes shopping with your personal stylist, which if you love shopping as I do is a lot of fun, the time flew by. I tried a few different outfits and got some great pointers about pairing colours, and layering my clothes. I would recommend this service completely and I really think more people need to know about it. It’s a great way to find out a little more about your figure, what suits you, what colours compliment you, and how to adapt your style exactly for you and what look you are going for. I enjoyed myself so much, personal stylist Carlene is completely independent from intu Lakeside and is in no way commissioned on the purchases you may make during or after having your personal stylist session. 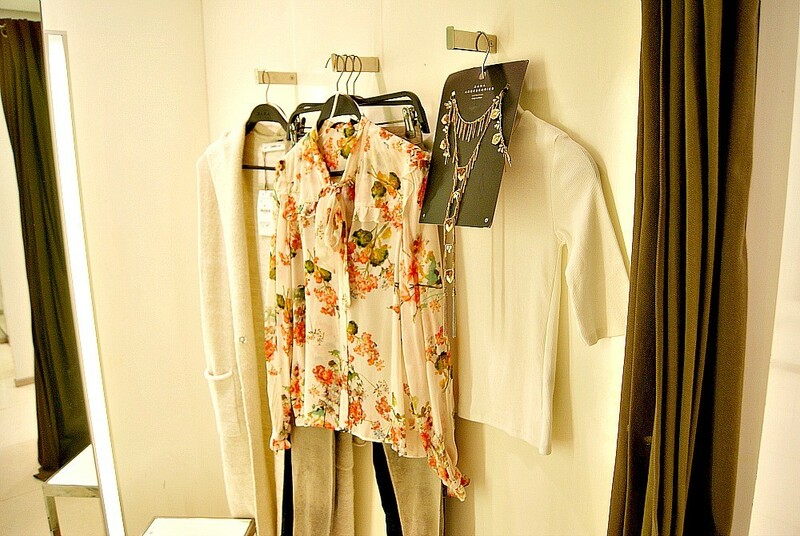 She is there to help you find the clothes that are best suited to you and help you revamp your style. She actually offers 9 different packages so if you want to accessorise an outfit she can help with that, just had a baby and need help to find your style again, or generally just need a seasonal update. Specifically for me I very much benefited from the session because although I don’t spend half as much on clothes as I did before I had children, the way you feel and the items you choose are important in giving you that extra confidence for the day. Lets be honest if you feel good in your clothes it makes a world of difference. Sometimes we may not always feel great in what we are wearing and a personal stylist session may help put you into the right direction, as it did for me. Carlene helped me to take a step forward, adding colour and patterns into my wardrobe, as well as a pair of Levi’s! Still can’t sop thinking about them. I think these packages are great, there is more information about each specific package on the website. Carlene also advised how buying pricey items is okay if you are going to get wear out of them which I completely agree with. Sometimes it is worth spending the extra money so that you have a quality item which will last years as opposed to months. I am looking so forward to taking my mum for this service over the next few months. I think it would be a really lovely idea for the two of us to spend some time together and get my mum to spoil herself for once. We all know how hard t is to spend time and money on yourself when you are a mum. And it’s of course another excuse for me to go shopping! Who doesn’t love browsing and looking at clothes and shoes? I definitely do. For more information on the Personal Stylist service call 01708 684351 or email: personal.stylist@intu.co.uk. 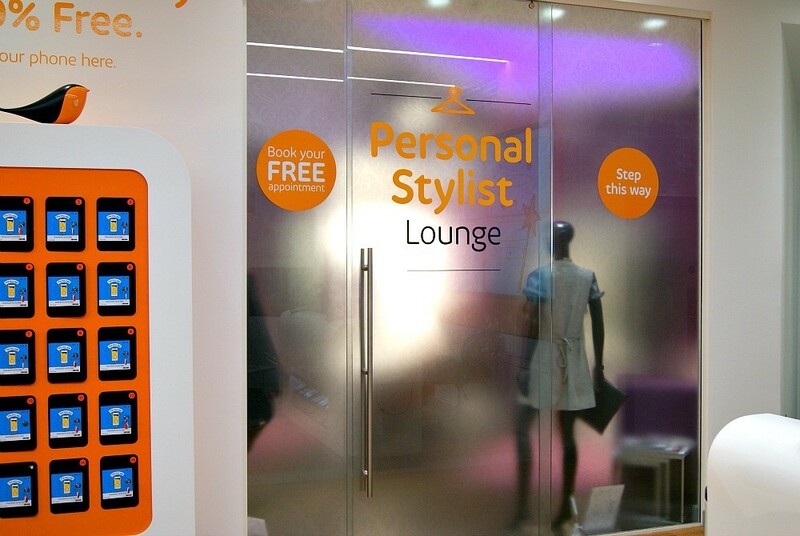 The Personal Stylist lounge is located in the Customer Lounge, Level 1 near the Central Atrium. Thank you so much to the PR team at Intu Lakeside for organising! *This post is in collaboration with Intu Lakeside. Sounds just like what I need! I can go shopping with the intention of buying something for myself but end up not finding anything or instead buying something for the children. I always find excuses haha! Sounds like what I need. I tend to always stick to my comfort zone with leggings and a loose top. The lady picked out some lovely bits for u.
Oh wow. Not heard or seen anything like this before. Looks like so much fun though. I love that there are packages to suit every occasion and different peoples tastes. It is good that they take preferences into account and that shirt looks good. What a fab idea to get someone else’s point of view! I’m awful at keeping in my comfort zone so could really do with something like this one day. Wow that looks like great fun! I could really do with a stylist help, I wonder if my local intu offer it. I’ve never been to a personal stylist as never really had an occasion to use one. I’m pretty good with knowing what colours and styles suit me. Oh this is fabulous! I wish our local centre offered this service. It’s easy to get stuck in a clothing rut. I love the idea of having a personal stylist to help you shop. Sometimes I purchase things and get them home and wondered why I had even bothered, ha! This looks great! I have been wanting to do something like this for a while – I did a colour analysis session a while back and it was really helpful. Now I do feel a bit stuck with the clothes though, my body has changed so much since having kids (I am a lot fatter now ha ha 😀 ). My private stylist provide me personal and unique style service which answers all my style needs. He creates a custom style program for me which based on my physical characteristics and age.